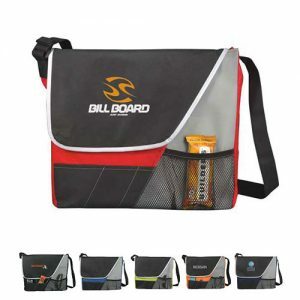 The only thing missing is your logo on this promotional messenger tote. 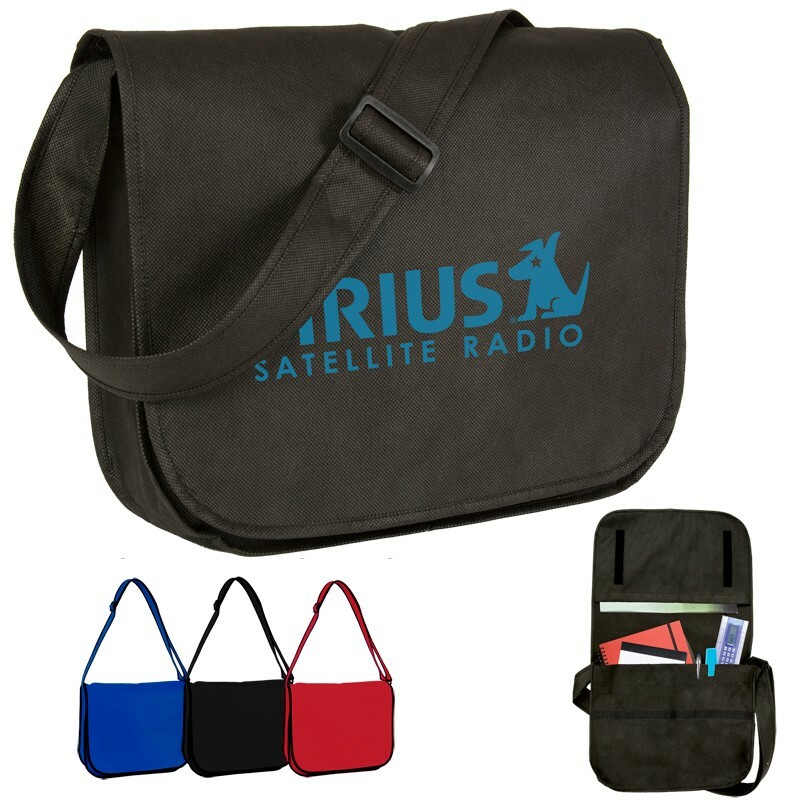 Made with high quality 80 GSM Non Woven PP, this bag offers a zippered main compartment, a front pocket and two mesh side pockets on each side. Perfect for marketing to almost any demographic but especially great for the educational sector or those in business. 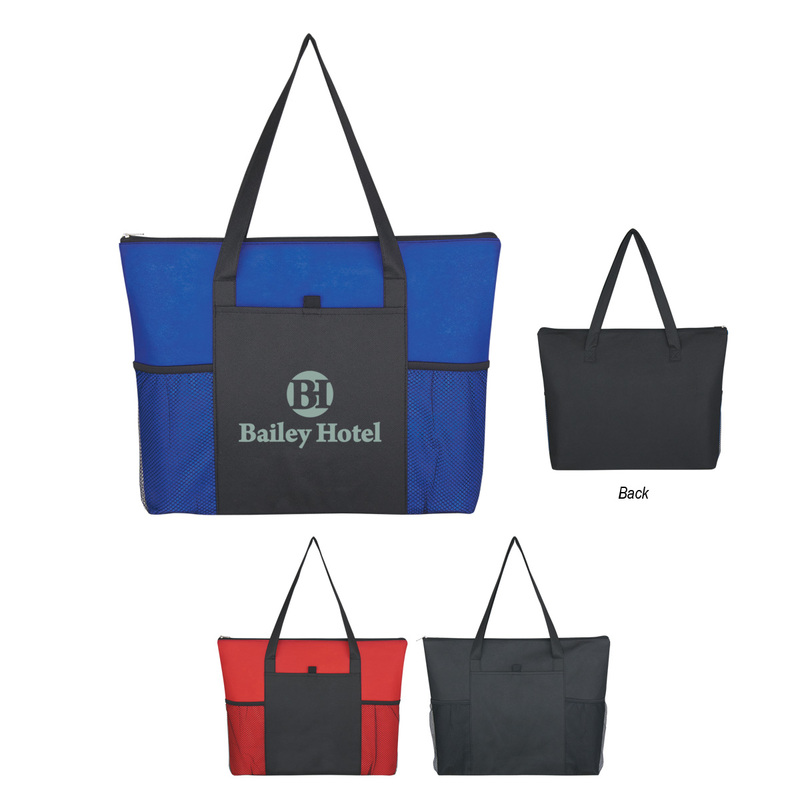 Customize away and market your brand in an environmentally responsible manner for many years to come.